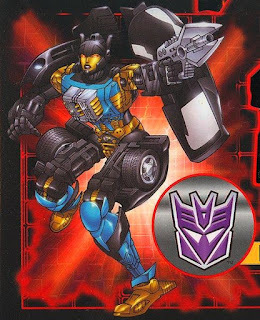 She's Fantastic: Transformers - SHADOW STRIKER! Shadow Striker looks great from the front view. She looks feminine and menacing and I was really excited to get her. But in reality, she's basically unarticulated with a "bellyflop" transformation. Her elbows are sculpted as if they have detailed articulation, but it's a trick. Shadow Striker's articulation is dismal. She has ball jointed shoulders, and her hips have restricted hinges (they only spread side-to-side in jumping-jack style, no forward or backward motion at all). That is the only articulation aside from some folding kibble. 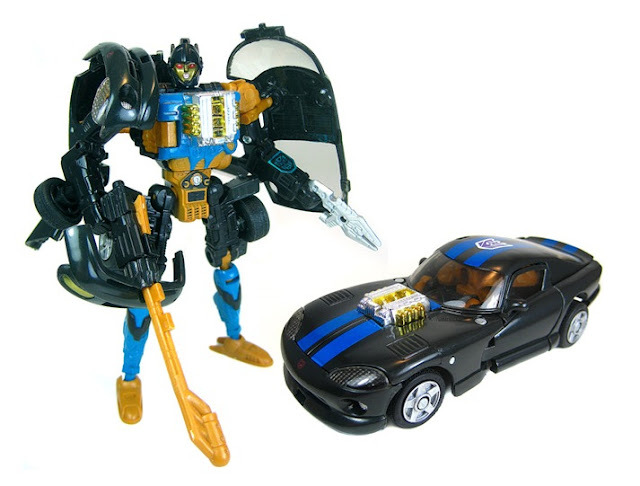 Here are some images of the original Shadow Striker and toy. 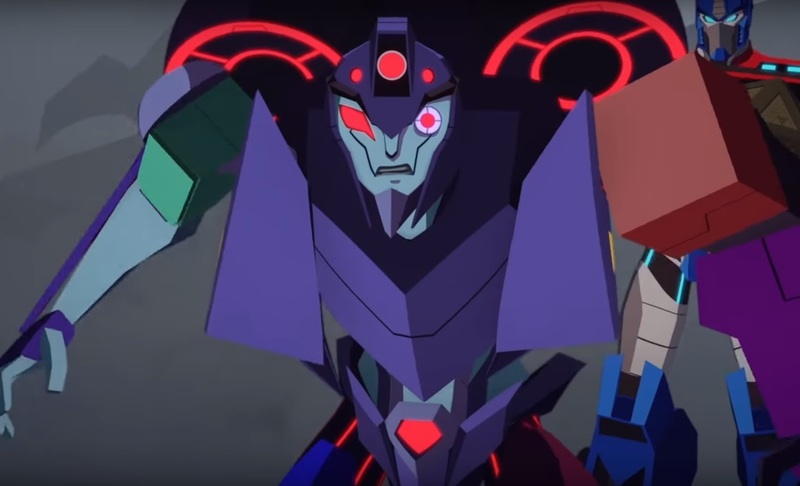 As of this post, there has only been four episodes of Transformers: Cyberverse and Shadow Striker has made only a couple cameos. This is the best screenshot I could grab. 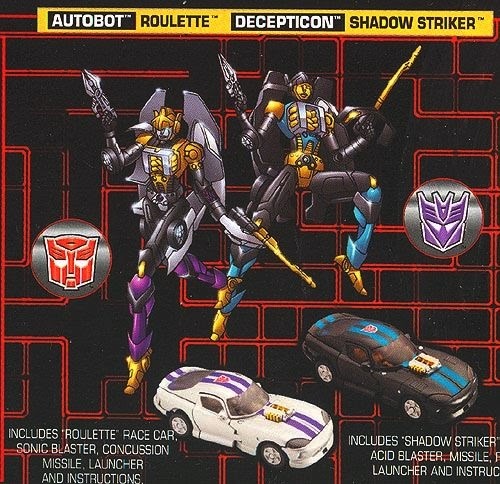 Here is Shadow Striker with two semi-recent Decepticon ladies, Nightbird and Blackarachnica. And here she is with the Rescue Bots Quickshadow. They actually have very similar articulation and transformation. 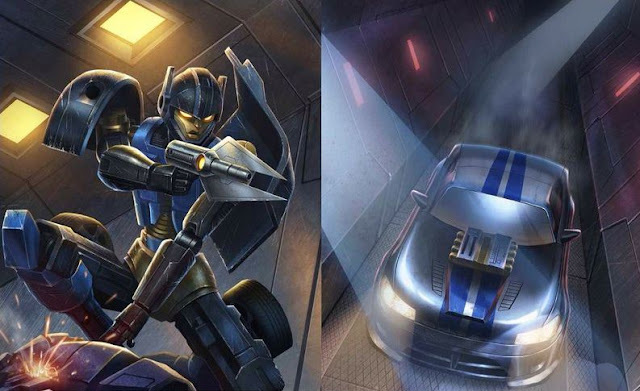 And I couldn't help comparing her to the two newest female Transformers: Moonracer and Novastar. As I recall from the original Botcon toys, her and Roulette had an unnamed third sister who's tragic death lead them both to choose their respective sides. For Roulette it lead her to become a law enforcer and eventually an Autobot in order to protect the innocent, but Shadow Striker choose to become a criminal and eventually a Decepticon as she wanted to have the power to never be a helpless victim again. It will be interesting to see if any of this background is incorporated into the show.